Extreme weather can give your roof a thorough beating. This is why you should never rely on looks alone when discussing the choice of roofing material with your roofing contractors in Northern Virginia. Fortunately, GAF manufactures shingles that don’t just guarantee a boost in curb appeal. After all, these roofing options can also withstand the most extreme weather conditions. 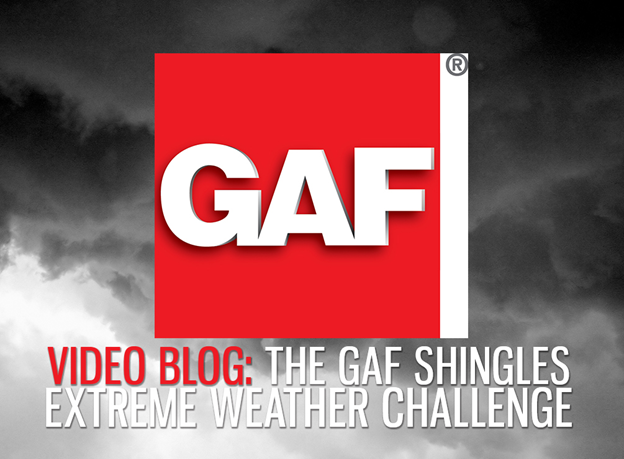 To prove this, GAF subjected their popular Advanced Protection® Shingles to tests that would simulate real-world conditions. The shingles were installed on a simulated GAF roof deck system that includes all components installed by GAF-certified roofers. An additional layer of brown craft paper installed just under the underlayment would indicate if water penetrated the roof deck during these tests. 1. Category 3 hurricane. To simulate the wind and rain conditions that approximate Category 3 hurricanes, GAF perused Underwriters Laboratories’ stress test machine, dubbed as “The Monster”. This machine subjected the simulated roof deck to continuous blasts of 110 MPH wind and water. Fortunately, the shingles handled it with ease; even the craft paper was perfectly dry after the test. 2. Category 4 hurricane. That first test wasn’t enough, so the shingles were taken to FM Research Center on Rhode Island. In here, a machine could generate 150 MPH winds, which was equivalent to a Category 4 hurricane. This was used on the shingles continuously for 30 minutes. The shingles again emerged victorious, with the dry craft paper again. This proved that no water penetrated the roof deck, showing why this product is a top recommendation of our roofers in Northern VA.
3. Three days of rain. Not content with extreme winds, the shingles were also subjected to 72 hours of continuous downpour — over 10 feet of rain. Water still didn’t penetrate the shingles at this point. 4. Waterfalls. GAF went ahead and pushed the testing to the extreme and subjected the roof deck to almost a hundred gallons of water released at once. Once again, this did nothing to the roof deck. 5. Explosive detonation. Not content with extreme weather testing, GAF took the shingles to Architectural Testing’s facilities in York, PA. The shingles are subjected to a blast test with a 1,000 MPH air shockwave. Take note that this is equivalent to 1,440 lbs/sq. ft. of force. This damaged nearly every everything in the simulated house except for the roof deck. The bottom line is that GAF’s shingles prove to be your best and safest choice, capable of protecting your most valuable asset: your home. For more information on GAF’s wide selection of shingles, contact one of the top roofing contractors in Manassas, VA, today. Call Peak Roofing Contractors at (703) 745-5153 or fill out our contact form.